The word "doomed" has become a common adjective to describe gun-control efforts. Mass shootings like those at Sandy Hook or Fort Hood looked like they might provide the political fuel to tighten laws, but gun-control advocates have found their efforts perpetually frustrated. Gun control laws have stalled at the federal level, which is likely part of why President Obama has advocated for state and local governments to take action in the wake of recent shootings. The question of state laws&apos; effectiveness has become a central part of the national conversation since the San Bernardino shootings. California has the toughest gun laws in the nation, according to the gun-control advocacy group the Law Center to Prevent Gun Violence. (You might notice that California is colored in on all of these maps). And, of course, as the AP pointed out, those tough gun laws "failed to stop [a] mass shooting." Gun-rights advocates believe this shooting, as well as others in Oregon and Washington, are evidence that stricter gun laws aren&apos;t necessary. Many of the proposed gun-control policies from President Obama and presidential candidates since San Bernardino wouldn&apos;t have stopped this particular attack, as the Washington Post&apos;s Philip Bump writes. But gun-control advocates point beyond isolated incidents to broader trends, like the fact that states with the most gun laws also tend to have the fewest gun deaths (a statistic that includes not only homicides and accidents but also America&apos;s many gun suicides). And to the degree that stricter gun laws keep gun ownership levels down, it could mean less violent crime. Several studies have shown a link between firearm ownership rates and the risk of being a homicide victim. In a 2015 study, for example, researchers at Harvard University found that higher levels of firearm ownership were associated with higher levels of firearm assault, firearm robbery and firearm homicide — when controlling for demographic factors like age and race. That study, and many others like it, shows a link between gun ownership and crime or deaths, and therefore supports the hypothesis that more guns mean more gun-related crime and death, though it does not establish causality. Though efforts to pass more gun-control legislation have stalled at the federal level in the past few years, some Americans will vote on it at the state level next year. 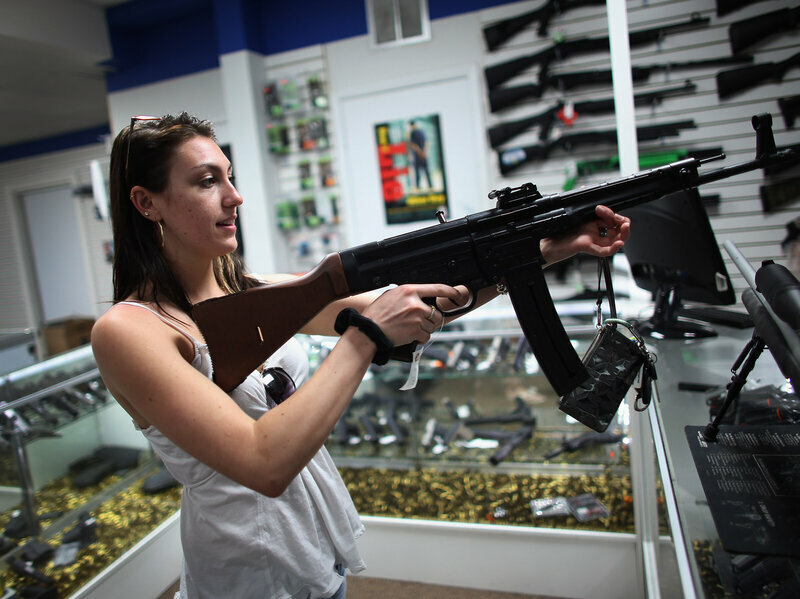 In 2016, measures requiring universal background checks (that is, checks for private and gun-show purchases) will be on the ballot in Nevada, and gun control advocates are hoping to vote on it in Maine, as well.